I didn’t even have to gather the dragon balls and ask Shenron for his help in seeing the first episode of Dragon Ball: Super, the new show that picks up where Dragon Ball Z left off nearly 20 years ago. But thanks to the fansub community, the episode is out there with an occasionally rough, but enjoyable English translation. Beware, as mild spoilers are ahead. Super picks up much closer to Z than people going in blind may expect – starting off only 6 months after the big fight with Majin Buu and the universal spirit bomb. The show starts out with our heroes slightly out of their comfort zone. After the defeat of Buu, Shenron was used to wipe the memories of all those events from all of Earth (aside form the main characters, of course). Goku is working as a farmer, trying to find a way to get by for 6 months as he promised Chi-Chi he would. Lord Beerus, an Egyptian cat-god styled character is introduced as clearly the new big bad (returning to the franchise after his appearance in the movie Battle of Gods), and he’s probably the most powerful character we’ve ever seen in the franchise – he literally cuts a planet in half by tapping down on a plate with one finger. Aside from that, there’s a multi-level story reintroducing several of the main players. Mr. Satan and the good, marshmallowy form of Buu are shown while Satan (Hercule in the sanitized US version) is given a 100 million zeni prize for keeping the world safe. 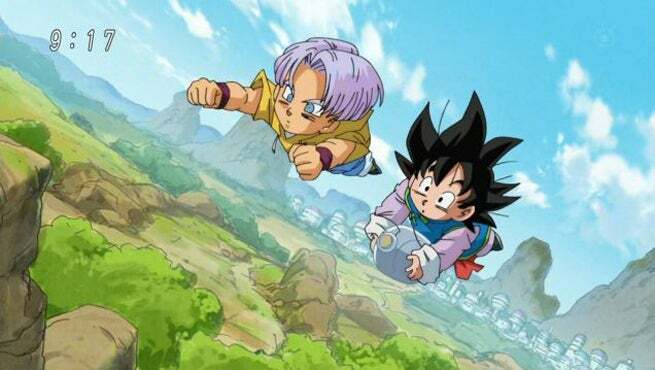 Goku’s youngest son, Goten, teams with his pal Trunks (son of Bulma and Vegeta) to find a present for Gohan’s fiancée Videl (Satan’s daughter). This fills in the bulk of the episode as the pair go on an adventure that leads to them having to put forth a little more fist and foot effort into their quest. They get the entire B-plot, and they should continue to do so, as this pair absolutely steals the show. It’s all very much put out as a “slice of life” episode. Goten and Trunks are adorable and funny to watch, and the general innocence of all the characters, even with all they’ve seen and done at various but mostly young ages is really played up nicely. It’s one of the things that always made Goku so likable – he’s as clean cut as can be, and truly just wants to help anyone weaker than he have an easier time of life. This is clearly passed down to the next generation, and the episode does a great job of emphasizing Goku’s importance while highlighting the strength of character – and fun that can be had – with the younger members of the cast. There’s only one real action sequence, with one other very quick flash of Goku’s brilliance, but that’s fine. The lost art of the setup in many action shows today is shown off here by masters, and it blends nostalgia and hints at what’s to come nicely. The next episode preview continues that by teasing Vegeta, some more Lord Beerus action, and King Kai. Aside from the surprisingly (for today’s standards) laid back plotline, the other thing that really stands out here is the animation style. It’s interesting – video games based on the franchise took so much time trying to make their look nearly identical to that of Dragon Ball Z, so that you felt like you were playing your own special episode of the show. However, when you look at the true side-by-sides, games have surpassed that in recent years, making things a little crisper, a little more fluid, and really bringing it into a new age. Toei Animation does this wonderfully with Dragon Ball Super as well. It’s very clear that this is Dragon Ball – you can look at the characters in still shots or in action, and it feels like the major crossover hit felt. But it also isn’t out of place with the highly polished and often computer-animation-augmented shows out today. The feat of blending nostalgia with present day extends itself, then, to both the story and the animation. There may be a temptation to rush full speed ahead, both due to the tempo of most current anime releases, and because of the “all killer no filler” success of the recut Dragon Ball Kai, which took out much of the setup and hand-wringing from the original run. But if director Kimitoshi Chioka is feeling that pressure, ti doesn’t show in this premiere episode. 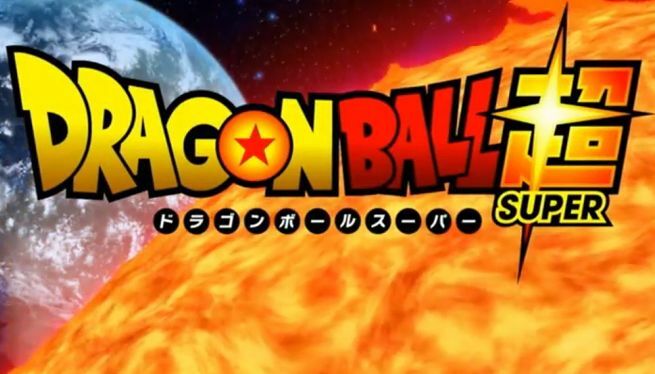 Instead, we get a classic and nuanced “where are they now” that helps build anticipation for “where will they be.” That makes for a Dragon Ball Super premiere that defies expectations and makes me excited for the franchise in a way I haven’t been since I was a kid watching Z for the first time. I can’t wait for more, and for the official U.S. release.